If you’ve been looking for a dental office that listens…truly cares…and treats you with respect, you’ve found your new dental home! The team at Riverview Dental Designs makes dentistry not only gentle but enjoyable! Why Choose Riverview Dental Designs? Though we have been known as “the cosmetic dentistry practice in Tuscaloosa,” we do so much more than create pretty smiles. We are a family-friendly, general, restorative and cosmetic dental practice… and we are here to help patients just like you find the healthy, strong, and yes – beautiful – smile they deserve. Our warm and friendly staff treats every patient like a special guest, Dr. Diaz takes plenty of time getting to know you and your needs, and our beautiful view of the river helps our patients feel relaxed and soothed. We Pride Ourselves on Focusing on What Really Matters – You. 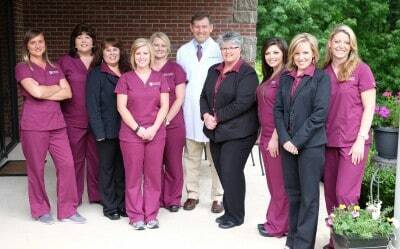 Our team works together to provide exceptional dental care. And it shows. Call us today to see what our Tuscaloosa dental office can do to help you and your family get the healthy smile you deserve – for life!